Placebos work, even if you understand them. And understanding them matters now more than ever. A placebo is a story we tell ourselves that changes the way our brain and our body work. A placebo makes wine taste better, cancer drugs more effective and education significantly more efficient and effective. Any time a story or ritual changes the way we encounter something, we’ve experienced the placebo effect. And that’s precisely what modern marketers do — create stories, build rituals and produce external cues that change personal experience. Placebos can be caused by very direct cues (things we often call marketing) and by more subtle subconscious signals as well. Marketers initiate placebos every time they invest time or money in telling a story that changes the user’s perception or expectation. A placebo is the single most important element of marketing, but it is also the essential, silent factor in just about every interaction we have with the outside world. It is the secret to athletic performance, medicine, fashion and personal relationships. Let’s begin with a clear scientific study to dispel anyone inclined to be skeptical: In not one, but two extremely rigorous studies of lower back pain (one of the most expensive and pernicious ailments of an aging population), researchers found that acupuncture was twice as effective as traditional Western medical techniques. Interesting. More fascinating: fake acupuncture was statistically as effective as real acupuncture. The cost effectiveness here is so clear that it’s a no-brainer to prescribe acupuncture to every lower back pain sufferer (might as well do the real kind, since there’s nowhere to send people who want the placebo alternative). If a placebo can change the way wine tastes and the way your back feels, why is it something that makes us squeamish to discuss? We’ve built as secret moat around the placebo, placed a taboo on talking about it, and diminished its role in our lives. It’s almost as if we expect that talking about the placebo will make it go away. Research shows that it isn’t true — the placebo is so powerful, it has no need to hide. The placebo effect is a change in the brain that’s caused by marketing. Jonathan Valin is incredibly talented, he has hearing that you and I can only dream of. In addition to his hard-won ability to hear what many people can’t, he works overtime in reviewing and writing about the upper echelon of stereo equipment. His reviews in The Absolute Sound cover $100,000 speaker systems, $125,000 turntables and even amplifiers and wiring set-ups that cost nearly six figures. It wouldn’t be difficult at all to use his recommendations to assemble a stereo system that retailed for more than half a million dollars. I have no doubt at all that Jonathan is passionate and honest and most of all, that he hears what he says he hears. The thing is, if we broke into his home in the middle of the night, and quietly and with stealth took all the wires out of his stereo (the wires connecting the pre-amp to the amp and the amp to the stereo cost more than $75,000 — yes, the cables cost more than a Mercedes), and swapped in cables that cost, say, only $5,000… If we did this swap, what would Jonathan say the next day? (Just to be clear: I adore Jonathan’s writing, and often buy the things he recommends. The fact that he, like us, is susceptible to the placebo effect is wonderful, because it makes a hobby a hobby). Donald Drapkin is a hedge fund manager. The New York Times estimated that he was keeping more than five million dollars worth of wine in a storage facility that went bankrupt. Let’s assume that Drapkin has excellent taste and can easily afford the wine (even though it’s held up in court and he might never get it out of the failed storage facility). Imagine that you and I snuck into the wine locker, though, and swapped the labels on this priceless wine with bottles that cost, I don’t know, $25 each. According to the American Association of Wine Economists, virtually no one can tell good wine from super-expensive wine. (To be completely accurate, most people of the 6,000 studied actually prefer less expensive wine in a blind taste test.) If it makes you feel any better, in a study two years later, the group found that many people are unable to differentiate Spam and liverwurst from dog food either. The essential takeaway from blind tests is this: The blindfold takes something away, something important. The thing it takes away is sufficient to turn average wine into delicious wine, to change, fundamentally, the level of enjoyment available to people using the product. What does it take away? The issues involved here are particularly obvious and silly when talking about very rich people wasting money, but the placebo effect has a dramatic impact on issues of life and death as well. Placebos can reduce blood pressure, decrease time in the hospital, aid healing, even put the brakes on an ‘incurable’ disease. And here’s where we get to the challenging part, the part that practitioners like Martin Binks, director of behavioral health at the Duke Diet and Fitness Center, have trouble embracing. One report reads, “But Binks has a more substantive criticism. He does not believe that placebos are capable of producing the kind of objective change in the physical body that Langer is claiming.” Binks is verbalizing what many people say — placebos are fine, but they can’t do real work. A product or intervention is worthwhile [only] if it works without the placebo effect. In other words, it’s only real if a double-blind test shows that it makes a difference. A product or intervention is worthwhile if it works along with a well-designed placebo setting. Our mind is so powerful that it’s foolish to leave it out of the equation. If we enjoy that wine or heal from that wound, and the mind helped, then by all means, invite it along. ‘Real’ is what happens, not how it happened. A study by Kam-Hansen et. al. in the journal Science Translational Medicine showed that in some drugs, more than half the impact of the drug is due to the placebo effect. Tell me again why it’s not real? More than half the impact of many medicines is due to what we believe. Maslow argued that as a species, we can only focus on the bottommost rung that hasn’t been dealt with. If you’re drowning, you’re probably not spending a lot of time thinking about Sartre or Beethoven. As a rung full of needs gets satisfied, then, we can focus our attention and our effort on the next one up. So far, we’ve been focused on the medical elements of the placebo, and that’s firmly in the bottom rung of the pyramid. If you’re dying or in pain, this is what matters to you. As we’ve seen, placebos work here — in many cases, quite profoundly. The thing is, as we move up the pyramid, as things like access to air and water and health become less urgent, the placebo becomes ever more effective. Issues of love and esteem and social connection are almost 100% about how we see the relationship taking place, not what is actually taking place. If you gaslight yourself into believing that your spouse is secretly trying to undermine you in a devious plot to drive you crazy, that placebo will fundamentally change the way you feel about your life. 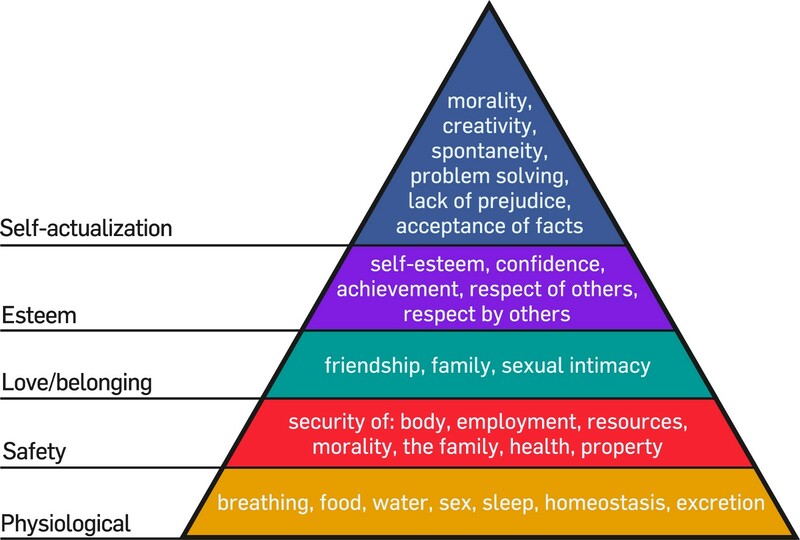 If you don’t think you’re safe, then you haven’t satisfied the safety rung of Maslow’s hierarchy, even if you are safe. Conversely, if you believe you’re safe, then you can move on to focus on other things, which of course, probably makes you more safe. As humans get wealthier, marketing matters more than ever. At a refugee camp, amid horrible conditions, access to clean water and food for your children is everything, and marketing and the placebo effect matter little. But as we move up the pyramid, as we gain the ability to provide food and water to those in need, placebos are at the core of what we not only want, but need. Here’s a brief history of the intentional use of the placebo: In the 1800s, as organized medicine began to take hold, patients begin to expect that they had a chance to have a medical intervention that would dramatically improve their well-being. At the same time, doctors realized that while they had some powerful tools (like cutting someone open to remove a tumor) there were plenty of diseases and ailments for which they had no response. In those cases, they’d sometimes give the patient a placebo and send him home to die. It wasn’t seen as a brave or powerful act, even if sometimes the patient got better. Doctors who relied on placebos weren’t esteemed by their fellows. They were seen as quacks, as failures, as taking a shortcut instead of digging in and doing real medicine. The movement to license and certify physicians was largely the result of a dividing line between doctors and those that merely used placebos. Real medicinal science took off in the 1900s. There was an almost endless parade of developments, like Alexander Fleming’s discovery of penicillin or the various other medicines and interventions that could dramatically change the course of a patient’s life, whether or not a patient believed he was going to get better. Placebos, then, were not only the last resort, they were the last resort of the untrained, unskilled or unethical doctor who couldn’t find real medicine that would actually work. This gulf reaches a pinnacle with shunned quacks like Stanislaw Burzynski, who aggressively sells placebos to desperate cancer patients (read more here). Is there any doubt that this is a dangerous path? When we corrupt science and the language of science and the practice of medicine, our society pays a huge cost. For good reason, then, many are not only skeptical of placebos, but they actively discourage their use. Or consider the case of the obvious placebo sometimes referred to as alkaline water. You can buy it by the bottle, but it’s entirely possible you have a neighbor who would like to sell you a machine to ‘make’ the water. Proponents use all sorts of scientific words to describe the benefits of this potion, but each of them is either identical to what one receives from ordinary water, or is a myth, a make-believe wish that has no basis in testable science. This is a real problem for me (and for people who care about the scientific method). If we’re going to start talking about elves and witches in the same paragraphs that we mention electron microscopes and the polio vaccine, I think our entire society has lost a great deal. Spreading these ideas because a commission is paid on every machine sold makes it even worse. It’s pretty clear to me that Stanislaw Burzynski is preying on people who deserve better, and is distracting attention and effort from legitimate research that will one day lead to better interventions. On a much more benign level, the hoopla over alkaline water also feels wrong, with the corruption of terminology and proof being used to sell a device that doesn’t actually do anything measurable in double-blind study. I’m not sure, though, that it has to be wrong. There’s a flipside here. While it’s entirely possible that people are drawn to promoting alkaline water because of the commission paid, my guess is that most are now true believers. Cognitive dissonance kicks in, along with the positive reinforcement of their own placebo experience, and those that are promoting the machine truly believe it helps. And, not surprisingly, buying the machine from a fervent believer increases the chances the customer will believe. And so she drinks more water, more often, and believes it will help. And it does. Life isn’t a double-blind test. It’s life, not a test. And for that user, it works. Let’s get away from health for a second and consider a more banal situation: Is it okay for Disney to intentionally manipulate wait times so that you and your family have to wait in line to get on a ride at DisneyWorld, even if there’s no actual need for the wait? Would it change your mind if you discovered that waiting in a line for a few minutes increases anticipation, which increases satisfaction? Because of the history of the placebo, it’s considered unethical for a doctor to prescribe a sugar pill and tell you that it’s medicine, even if it’s been proven again and again that this is the best way to treat many ailments. I see the example of Stanislaw Burzynski and I understand the problem here. But it’s also clear that this edge case causes a significant number of positive uses of the placebo to disappear. If we spent a few million dollars developing ever better placebos — bitter ones, ones that cause mild side effects, ones that bring a sense of euphoria (as a ‘side effect’) — it’s not hard to imagine that these improved placebos would work even better than the boring ones used in all of these studies. It’s fascinating to note, though, that even if the patient is told that a drug is a placebo, the placebo effect still works! The routine of taking out the bottle, opening it, swallowing a pill and considering that the ailment might go away is powerful indeed. Given that half the efficacy of a pill is due to the placebo, isn’t it worth considering that it might be unethical to not do everything in our power to amplify this effect? If labels and pricing and retail strategies somehow persuade us that wine tastes better or cables sound magical, how can we not work to provide these benefits? 1. Don’t use the language of science. We’ve created a set of rules for the scientific method, including efficacy through double-blind studies. In other words, scientists need to show us that it works even without a placebo. That means that the bridge across that river will stay standing, the quark will be measured, the drug will have an impact. When we steal this language and casually slap it onto a placebo, we’re robbing from society, because we are taking some of the impact that science has and corrupting it. We’re also teaching people to believe in a fantasy version of science, in a world where it’s okay to have your own version of climate change or cancer, merely because the words are used by those that can’t defend their point of view. 2. Don’t hold back on efficacy. If you’re using the placebo effect to increase the impact of a good or a service, that’s being done in service of the customer. But if you don’t invest in the double-blind element of your product, (the ‘real’ part), you’re stealing. That means that the wine ought to be good wine (regardless of what the label says), the medicine ought to be as effective as we can find (regardless of what we call it). 3. Be mindful of what happens later. When the patient or customer or client finds out you used a placebo, will they be angry with you? If so, then you’ve crossed a line, haven’t you? This is the lesson of the Wizard of Oz. Right intent and clear communication are more important than ever before, and they are what separate us from the tarred and feather snake-oil salesman. Another breakthrough study found that when a doctor treating irritable bowel syndrome said, “placebo pills made of an inert substance, like sugar pills, that have been shown in clinical studies to produce significant improvement in IBS symptoms through mind-body self-healing processes,” it had a dramatic, measurable impact in the short and long-term well being of the patient compared to no placebo at all. You don’t need to lie to make the experience better. I’ll go one step further. In addition to the placebo, there’s the real issue of the ‘nocebo,’ which is of course precisely the opposite. This occurs when we talk ourselves into feeling worse, enjoying it less or generally wasting an opportunity for improvement. One recent study discovered that when doctors go to great lengths to get ‘informed consent’ by listing every possible side effect, patients actually have worse outcomes. Telling someone that there’s a small chance that they will have insomnia actually increases the chance they will have insomnia. We can argue for informed consent. We can ask patients up front if they want us to make them better, or only prescribe things that work in a double-blind study. We can admit to readers of our fashion, style and hobby magazines that in fact, there are placebos everywhere. It won’t eliminate the placebo effect, but it will force us to make it work ever better. Ted J. Kaptchuk, the reigning guru of the placebo, points out that the tribal effects of placebos provide a powerful (if secondary) support to those that need it. If the clinician thinks a medicine is going to work, and the patient’s family also believes it, they project subtle cues and enhanced expectations, which serve to lessen stress and create an environment where the placebo is even more powerful than it would be ordinarily. We see this effect with the marketing of famous colleges. “Oh, you got into Dartmouth, congratulations!” The more trusted and esteemed people are cheering you on, the more likely it is you’ll bring serious focus to your work, which of course makes it more likely you’ll both learn something and get good grades, which creates a virtuous cycle. And, of course, the tenured professors teaching at Dartmouth are sure that they’re working at a great institution, and that also comes across, spreading a sense of destiny and certainty to students. I’m fascinated by the ritual of wine in a restaurant. Here’s a product that is clearly and obviously marked up far more times than anything else we regularly buy. And yet, instead of getting stressed at paying three or four times more than the same (or similar) item sells for in a store, we eagerly engage with the sommelier about which one to buy. Is there any doubt that a skillful sommelier increases the satisfaction of the diner? The way the object is sold and served dramatically changes the experience of consuming it. Compare this to the inexorable decline of specialty dealers, of independent bookstores, hobby shops, stereo stores, record stores, etc. All that satisfaction is thrown out the window in exchange for the vast selection and lower prices of Amazon and other online merchants. The mistake these outlets made was in trying to out-Amazon Amazon. Instead of cutting costs in an effort to cut prices, they could have chosen to become the local sommelier, the seller who adds value as opposed to merely being an impediment. Which leads to the South African rainmaker. My mom and I used to read The New York Times every morning and then, seemingly randomly, connect by phone later in the day about an article we’d read — and we tended to want to talk about precisely the same ones. More than ten years later, I still remember the obituary for the last South African rainmaker. She had greeted kings and prime ministers, and made her living accepting donations in exchange for making it rain. Her ability to act as a leader for her people is to be applauded, but when we engage in a sham transaction, we’re not delivering a useful placebo — we’re setting our customers up for failure. And there’s the key distinction that every marketer, every spiritual leader, every doctor has to wrestle with: If they knew what I know, would they be satisfied? Placebos work, and they change outcomes, often for the better. Where do they come from and how do we make them louder and more effective? The largest source of the placebo is confirmation bias. Confirmation occurs when we expect something to happen. When we spend a lot of money on cables, we want them to sound better. When the leader of our spiritual institution tells us to expect something to occur, we look for it to happen. When we choose to make a living selling something, we decide that the thing we sell works. Confirmation makes sense. No one particularly likes being wrong, and once an expectation is set, once we have a cultural or tribal reason to buy into an event occurring, we’re going to do what we can to make it happen. Since most measurement of joy, well-being and effort is internal, the confirmation bias produces huge impacts. Comparison: There are subsets within confirmation bias, and comparison is one of them. If A is better than B (where better means more expensive, more recommended, more coveted, whatever we define better to be), then when I use A, my instinct is that it will work better, right? For some people, then, an expensive Park Avenue doctor is going to do a better nose job than some guy in an alley in Tuscaloosa. On the other hand, for someone with a different belief set, the pain relief from a chiropractor who is a friend of the family might be far greater than what we get from the gruff surgeon at the Hospital for Special Surgery. While the US medical system has decided that placebo pills are unethical, they use placebos all the time. 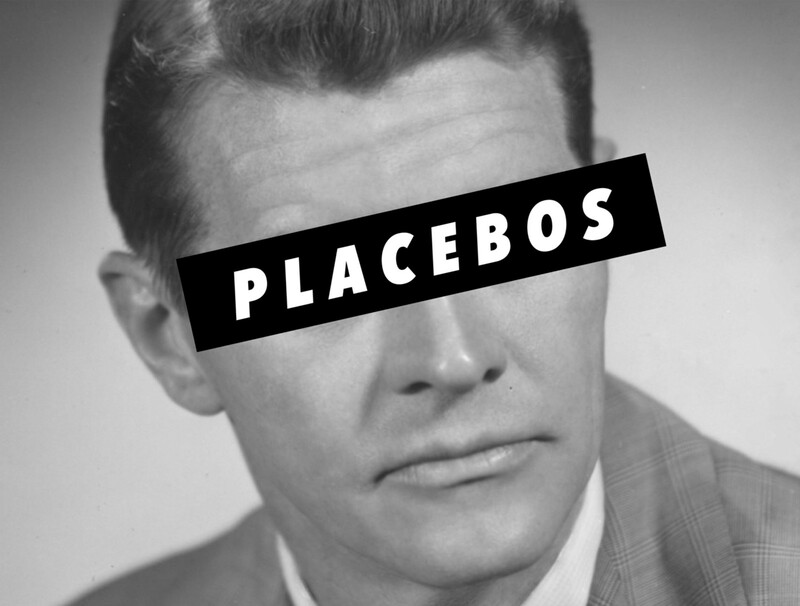 From the setting to the doctor’s manner to the words that are used, placebos are everywhere. Our culture has pushed us to compare everything. These comparisons almost always happen before we engage with the product, the service or the cure, and they build up confirmation bias as they do. Affiliation is a huge contributor to confirmation bias. Who said that? What do people like me do in this situation? Peer pressure extends far, far beyond high school. Suicide can be contagious, because our affiliation with people who make self-destructive decisions can cause us to think in the same way. Culture is the basis of humor, and we’re most likely to find something funny if we believe that others are finding it funny (hence the laugh track on a sitcom, and the ‘trending’ alerts on viral videos.) Marketers in the old days called this the bandwagon effect, and it’s magnified by the intense pockets of tribal behavior that the net now enables. Establishing groups (of wine fans, asthma patients or inventors) is a highly-leveraged way to create affiliation that leads to a positive confirmation bias. Ritual: People respond better to physical medical placebos than those in pill form. Sham acupuncture delivers better pain relief than fake Tylenol. When we engage in a physical transaction with someone else, we increase the self-talk that leads to placebo effects. This is one reason why actually opening the bottle and taking the medicine leads to an effect, even when we know the pill is a fake. The ritual “creates a receptive person susceptible to the influences of authoritative culturally sanctioned ‘powers’.” Ted Kaptchuk nails it with this simple sentence. The ritual creates the person’s state, and the state is what creates the impact. How much time and effort do we spend changing the state of the people who hope to help? Fear underlies just about everything we do. It keeps us from starting, helps us finish and can transform our experience of almost anything. At the start, the placebo gives us permission to believe. It gives us the bravery to overcome our fear of change, it allows us to imagine a future where things are better, even if that place is frightening to get to. And then, as the placebo starts to work, the provide of the placebo provides community and authority as a structure to keep it working. The cheers from the crowd or the pleasing of the provider help us overcome our fear of change and continue pushing us forward. It’s easy to see all of this coming together at the old-time faith healing road show. The authority of the preacher up front. The community coming together under the tent. The amplification of the successful intervention — we bring him right on stage, for all to see. When someone is able to use the placebo to walk without crutches, all eyes turn. A hero! Positive feedback, not just to the person who took this leap, but to those in the tent, to those looking for a reason to believe, a reason to heal themselves. The ethical problems under the tent are obvious. If you’re doing this to fleece the villagers, I hope you’ll leave town instead. If you’re encouraging people to believe at the expense of finding something that will actually help them while they’re believing, you’re being cruel. And if you use the rituals and language of science but only leave behind disillusioned failures, you’ve hurt all of us. 1. Make something that works. Make something effective, efficient, a breakthrough in cost/benefit and a tour de force of design and elegance. 2. Build rituals and language around it. Engage in communicating not just the obvious features of the product, but work to create an emotional process around the use of the thing. If it’s a charity, make the act of donating more than writing a check. If it’s a kind of sporting good, focus on more than just the carbon fiber structure. Too often, we find organizations that are merely good at one or the other. The cosmetic company that figures out how to go right to the edge of making it look like a pharmaceutical, or the tool company that gets the gearing right but forgets to do anything at all to make the craftsman feel competent when she uses it. As always, I’m the only one to blame for things you don’t agree with in my writing. I’m indebted to Kecia Brown who sorted through thousands of published articles on the placebo effect for me.